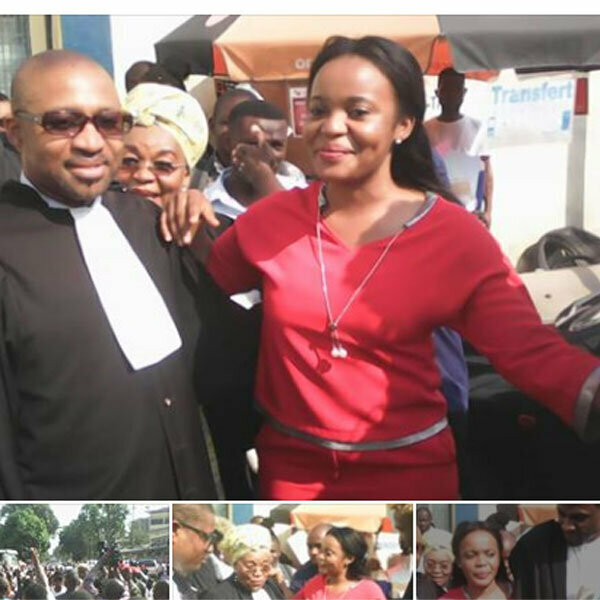 The case pitting the State against Mimi Mefo Takambou, Editor In Chief for English Service at EQUINOXE Television, has been discontinued and the accuse, acquitted of all charges against her by the Douala Military Court. The Judge at military court( female) asked If she wanted her judgement now or in three days and she said in 3 days. Then the Attorney General stood up and said case should be dropped. Over 50 Lawyers from Littoral, West, North West and South West regions answered present. Lead Counsel Barrister Tamfu Richard writes, " Proceedings against Mimi has been discontinued on the recommendation of the President of the Republic, instructing the Minister in charge of Military Justice to STOP legal procedures on the two counts. The President Military Judge or Magistrate received the pleadings of the Military State Prosecutor and entered a ruling in Favor of Mimi. So her judgment is a total acquittal and discharged, this is called in legal palance nolle prosequi,"